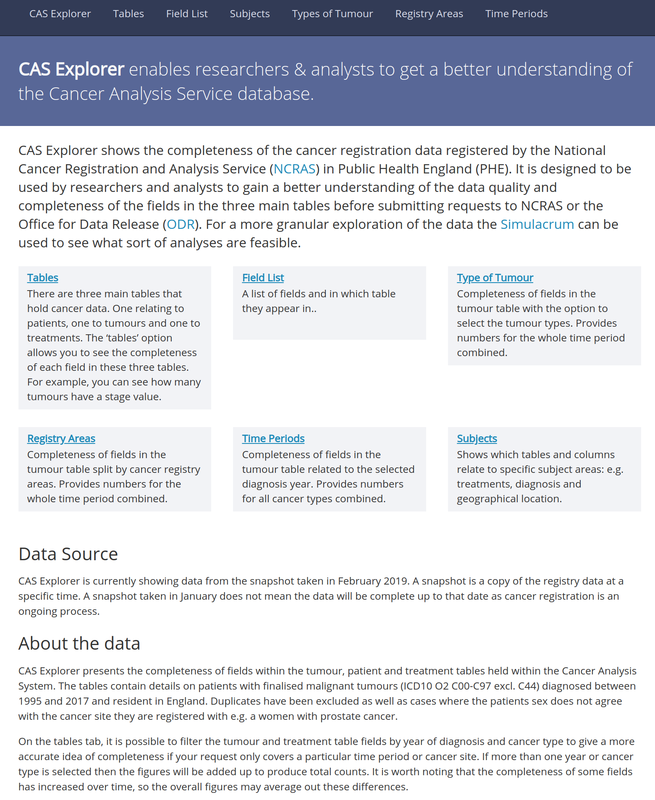 The CAS Explorer is an online interactive tool which shows the completeness of data fields within the Cancer Analysis Service (CAS) database held in the National Cancer Registration and Analysis Service (NCRAS) part of Public Health England (PHE). It helps researchers to better understand the data on cancer held by PHE. The CAS database holds up to 1,000 data items for each cancer patient, including information on demographics, tumour staging, treatments and hospital use. 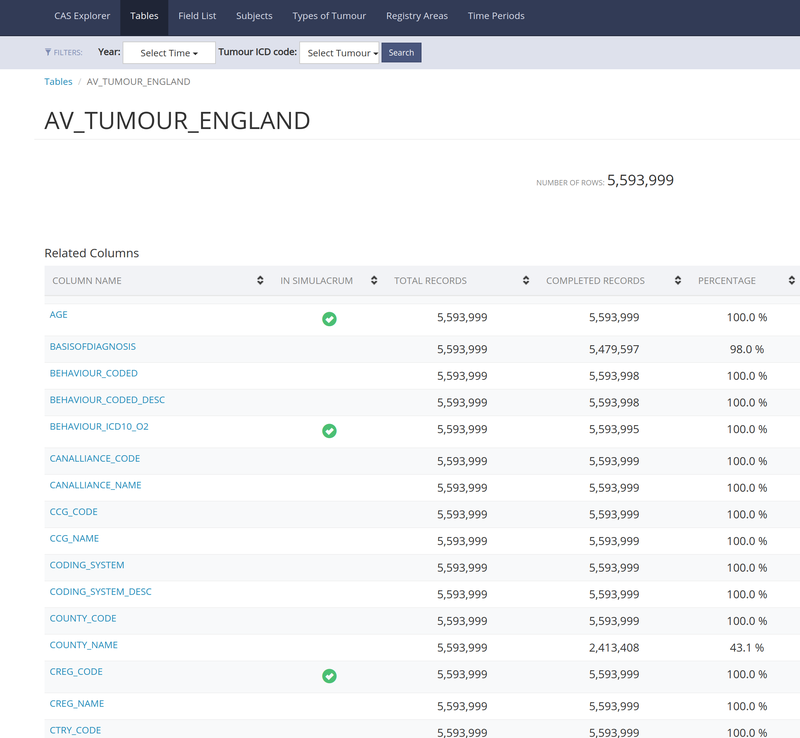 The CAS Explorer, developed by HDI, shows the completeness of the CAS database, and is designed to be used by researchers and analysts to check the data quality of the table fields before requesting data through the Office of Data Release (ODR) within PHE. Researchers will also be able to use the CAS explorer before using the Simulacrum, a synthetic dataset developed by Health Data Insight which mimics some of the CAS data. Researchers can use the CAS explorer to find out which data fields are included in the Simulacrum dataset. The CAS explorer is due to be published in spring 2019. It is sponsored by Cancer Research UK and Macmillan Cancer Support.